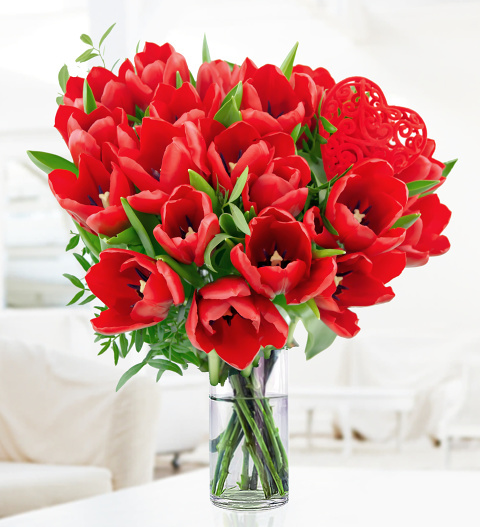 Beautiful Dutch tulips, perfect to send for Valentine's Day, elegantly arranged fresh from the fields of Holland. Surprise your loved one with these gorgeous Valentine's Day Flowers, complimented with a heart pick to make this bouquet extra special. Chocolates may contain nuts.